Welcome to Haberdashers’ Adams, one of the few selective state grammar schools in the UK. Located in Newport, Shropshire, we offer boarding and day places for boys aged 11-18 with girls joining as day pupils in the Sixth Form. We have a long and proud tradition of successfully educating generations of young people with a passion for helping our pupils to develop as confident, articulate young men and women who are interesting, balanced and who care for each other. I hope you will get a glimpse of that through our website and book a visit on one of our Open Days to experience in person the magical feel of Adams. At Haberdashers’ Adams we are committed to ensuring our students receive a broad and deep education, giving them the knowledge, skills, and wide-ranging curiosity about the world they live in which will help them to have happy and fulfilling lives and to contribute to the betterment of society. While this involves preparation for a wide variety of public examinations, there is so much more on offer at Adams which I hope you will discover as you explore our website. Central to pupil welfare is our thriving House system with a young person’s House quickly becoming a young person’s family. Within that family they receive support, encouragement, safety, discipline, opportunity, confidence, stability, a large degree of healthy competition and a sense of belonging that ensures all our pupils are happy, safe and respected. We would be only too happy to tell you more and hope you decide to visit. As a state boarding school, Haberdashers’ Adams is able to offer a high quality boarding education at a fraction of the cost of the independent sector. In fact, boarding at Adams is on average less than a third of the fees of independent schools because the education is free, and our junior boarders are able to enjoy living in a beautiful grade II listed home with over 100 acres of grounds to explore. I hope you enjoy finding out more about boarding at Adams and that I have the opportunity of meeting you at one of our Boarding Open Events. Boarding is becoming increasingly popular at 16+ with many students choosing to study their A-levels at boarding schools, recognising boarding as the perfect introduction to living and studying away from home. Since no charge is made for the education at Haberdashers’ Adams, this becomes a much more affordable and attractive option for families. We have a brand new senior boarding house which we’d be delighted to show you and our boarders would love to tell you all about boarding at Adams so do please feel free to arrange a visit. Adams has been far more to me than a place in which to pursue just academic excellence; it has been a place where you can exceed your expectations, where you can be involved in so many incredible things: whether that’s getting on stage for the first time in House Music and Dixon Cup or attempting to play in rugby sevens. I have met amazing people with whom I have been able to share these diverse experiences and I’m sure that after your time here, while you and your friends may not be who you expected to be, you wouldn’t have it otherwise. Adams is a strong and unique community providing a wide range of opportunities including sport, music, drama and CCF which go alongside a high standard of academia. Through the House system and important house events including Dixon Cup, House Cross Country and House Music, there will alway be a sense of family within the school community. However long their time is at Adams, students will be stepping into the wider world as confident and well-rounded individuals. 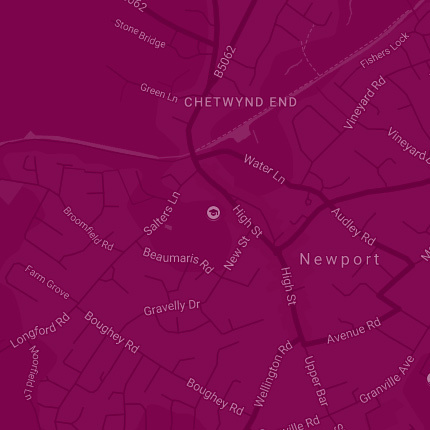 We get up to so much in the local community, have a look at the map below to see where we've been!